If you are looking for ways to relieve tooth pain, you may have turned to flossing or even over-the-counter pain relievers. These options only work for so long and you will need emergency dental care to help correct the problem that is causing the pain. Here you can quickly find 24-hour dental listings and clinics that can help ease the pain you are experiencing. Many of the offices you find below will see you the same day and even allow you to just walk-in to receive care. I had a mouth injury over the weekend and didn’t want to have to pay emergency room fees. That is why I am so glad I found Emergency Dentists USA. I was able to call them and find an emergency dentist in my area open that day. 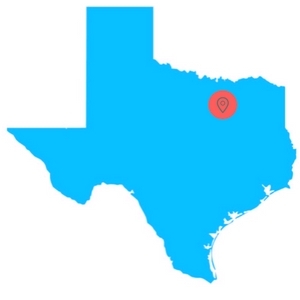 Each of these dentists in Arlington, TX are prepared to provide you with the services you need, when you need it. 24-hour dental offices in Arlington will see you after traditional business hours, which means you can receive care any time of the day or night, including weekends. In addition to the emergency clinics that are available, you will also see that there are after hours dentists available as well. These offices are generally open later into the evening, with most closing at 9:00 pm. After hours dentists usually offer Saturday appointments too. When you start to experience tooth pain, the last thing you want to do is hunt for hours online to find relief, only to come up empty-handed and in the same position. Once you find a dentist nearby, you can call their office and schedule an appointment to receive the emergency or urgent care you need. 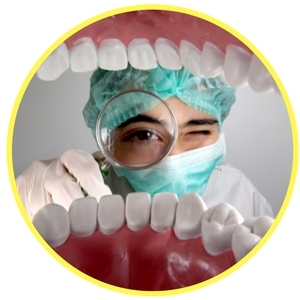 Description Arlington TX referral service for emergency dentists. If you can’t wait to see your normal dentist, and you need to get in to see a 24 hour dentist in Arlington, this is the right place for you to call. It’s the quickest easiest method of getting in touch with the perfect emergency dental clinic for whatever your situation. Also we’re open 24/7 and 100% free of charge! Description: Emergency Dental Care USA is located in North Fort Worth. This clinic is open 7 days a week, and provides same-day appointments and treatment whenever possible. Their professional and experienced dentists can treat toothaches and most other dental emergencies without the wait. They accept most dental insurance on an indemnity basis and provide full disclosure of total costs and out-of-pocket expenses before any treatment begins. Description: An Arlington and Dallas family dental clinic providing quality cosmetic dentistry services. Offers new patient specials, accommodating hours which include Saturday appointments, and very affordable dental procedures. Dr. Shalin Patel will take care of you in a professional and comfortable manner, you can rest assured. Same day emergencies and open Saturdays – Call today! Description: A full-service dental clinic that provides general dentistry services as well as placement of implants and root canal treatment. Emergency dental services are also offered by Dr. Iskandar DDS. Call ahead to check hours of service and to see if you can get an appointment at night or at the weekend. Description: This state-of-the-art practice has an incredibly friendly staff that provides emergency services such as root canals, extractions, help with severe toothaches, and abscess diagnosis. They are open EVERY Saturday, which is extremely convenient for the busy family who may have a dental emergency surprise. They can guide you to health with the Metro Care Dental plan and will speak with you in confidence about the insurance providers they cooperate with. Description: If you live or work in Arlington, you can turn to Ideal Dental to make sure that your emergency is taken care of promptly, and that your severe toothache doesn’t morph itself into something much worse. Many patients have given a 4-star review of this clinic, and have claimed that every single staff member here does their part well and works extremely great together. Description: If you’re in need of a dentist on Saturday in Arlington this office is the choice for you, they’re open from 9am til 3pm. As well as they are open til 6pm every weeknight which means you can get in after work! Description: Ted French DDS lists on his website that they are open 24/7 for emergencies. What this typically means is they do have someone answering the phones 24/7 and you can schedule an appointment with the urgent care dentist in Arlington if the dentist is available. Give them a call! When you visit an emergency dentist, you will find that it is just like visiting your local general dentist. You will need to spend some time filling out paperwork and providing the emergency dentist with your health records. You want to double check that you have your insurance card with you too. Before you arrive for your emergency dental appointment, you should inquire about the cost of services and the available methods of payment, this way you are properly prepared. Most dental offices, emergency or not, require payment up front or as soon as services are rendered. If you have insurance, check to see if your chosen emergency dentist accepts it and what the updated cost of service is. If you have any allergies, you will need to let the dentist know before treatment starts. In addition, if you have dental anxiety, you should let the office know so that they can accommodate you while you are receiving treatment. If you have started to experience pain in your mouth or near a tooth, you may be suffering from one of the many common dental emergencies. These conditions can occur quickly or they can remain dormant and progress over time. All dental emergencies need to be looked at immediately to prevent any further injury or trauma to your teeth, mouth, or surrounding tissues. If you allow a dental condition to persist, it can become worse and lead to further dental issues or even permanent damage. 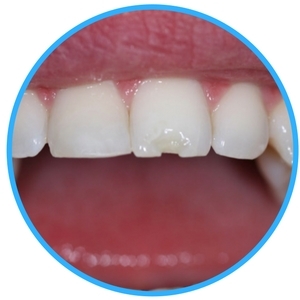 An abscess is best described as an infection that occurs in between the tooth and gum or around the root of the tooth. This is a condition that should not be ignored and does require dental attention. If an abscess is not handled properly, it can cause damage to the nearby teeth and tissues. The first sign of an abscess is a pimple-like bump on your gums that is painful to the touch. Treatment for an abscess includes the draining of it. You can ease any pain you experience by swishing a mild salt water solution in your mouth. 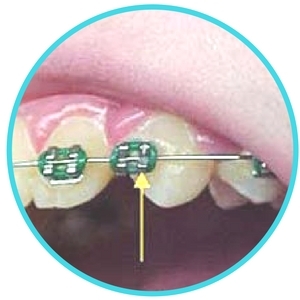 Broken or loose braces and wires can occur when there is trauma to your mouth or when you eat a sticky substance that pulls them off the tooth slightly. If this occurs, you should attempt to use a soft object, such as an eraser to push the wire back into place or away from your gums. If you cannot do this, you should place a piece of orthodontic wax on the wire until you arrive at your local dentist office. You should never cut the wire, as you may swallow the piece of metal. In addition, you should never try to remove any loose braces, as this can damage your other teeth. If you have a chipped or broken tooth, make sure to save any of the pieces that you can. A chip or break can occur when you bite down on something too hard or from being hit in the mouth. If you have suffered a break or chip, rinse your mouth out with lukewarm water. 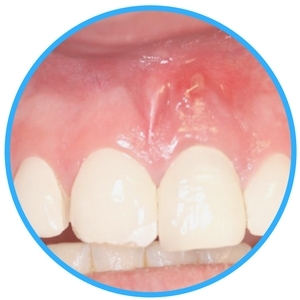 It is unlikely that the area will bleed if the break or chip does not occur at the gum line, but if it does and blood is present, use a piece of gauze and bite down to apply pressure. You can apply a cold compress to the exterior cheek where the problem occurred to prevent swelling. In some situations, you may need to have an emergency tooth extraction performed, especially when the tooth suffers from severe damage that threatens the way it functions inside of your mouth. Not every tooth problem that arises will require an extraction and most dentists try to save the tooth before an extraction is recommended. If you need to have an extraction performed, it is not a good idea to wait because it can cause more damage to the tooth, the surrounding teeth, and even the gum tissues. The recovery time from a tooth extraction is generally a couple of days. Your emergency dental provider will give you an aftercare sheet to help you care for your tooth. If you are in a lot of pain and you head to the emergency room, they may look over the area and prescribe pain medication until you can get to the dentist. Emergency dentists in Arlington are the best option when you experience any type of emergency tooth problems. They are equipped with the tools and knowledge to correct the exact problem, which will eliminate your pain. There are times when you may need to visit an ER for your dental problems and that is when you cannot find an emergency dentist, suffer from trauma, have been injured in a sports accident, or when you have received a head injury. Emergency Dentists USA is here to help if you are experiencing a dental emergency. Make just one phone call to our free referral service and you will be connected promptly to a dentist near you, who can help you get out of pain! We do recommend that you always check with the local Arlington dental society to verify any certifications and credentials of new dentists that you plan to have an appointment with. You should always check the Texas Dental License and Registration Search and the Texas State Board of Dental Examiners Search before you go to the dentist.